Know a Paw Patrol fan? 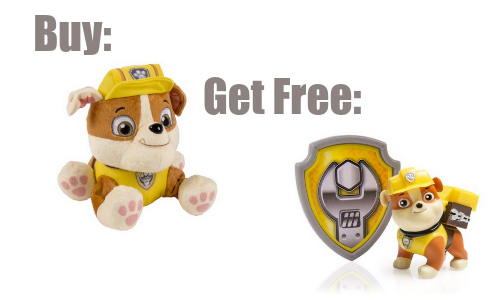 If you buy a select Paw Patrol toy on Amazon, you’ll get a FREE Action Pack. This is a great way to get a bonus gift item. Add the Action Pack and other toy to your cart and the action pack will show up as free on the final page of checkout automatically. Some of the cheaper items are considered add-on items which means they ship free with a $25 purchase. Shipping is free on orders $35+ or you can get free 2-day shipping with Amazon Prime. Deal ends 11/30. Note: prices and promotions on Amazon may change at any time.